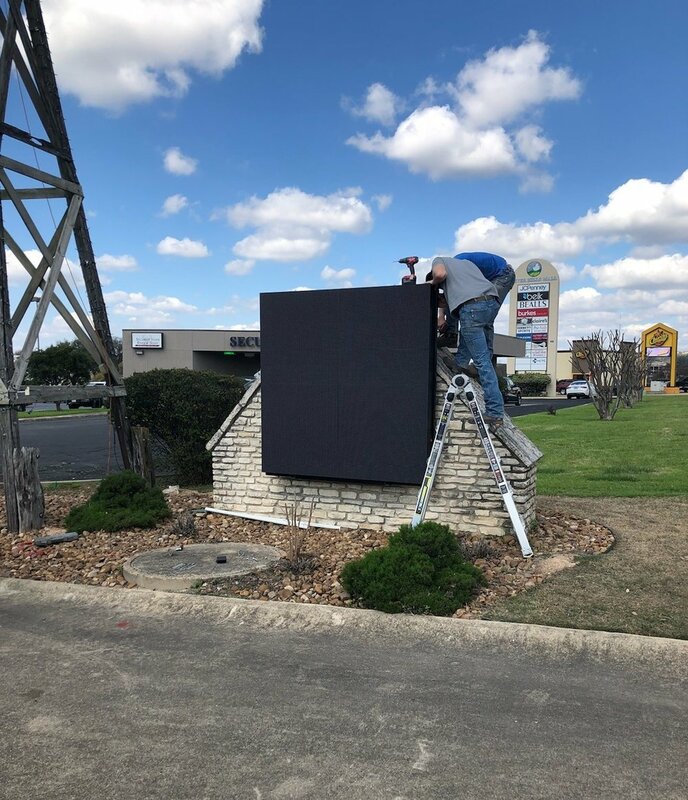 We provide AND INSTALL an electronic message center that will replace the old, static sign. We work on specifications and CHECK REGULATIONS IN YOUR AREA. We handle any fabrication needed. We install the new sign and keep you updated throughout the process. to run anytime, any day. The monthly Service Fee does not begin till AFTER the install is complete - you get to enjoy your new sign BEFORE SPENDING A SINGLE DIME. MAINTENANCE is taken care of if there are any issues with the sign.